I found my hat pattern! That means I was able to make my daughter's winter hat. 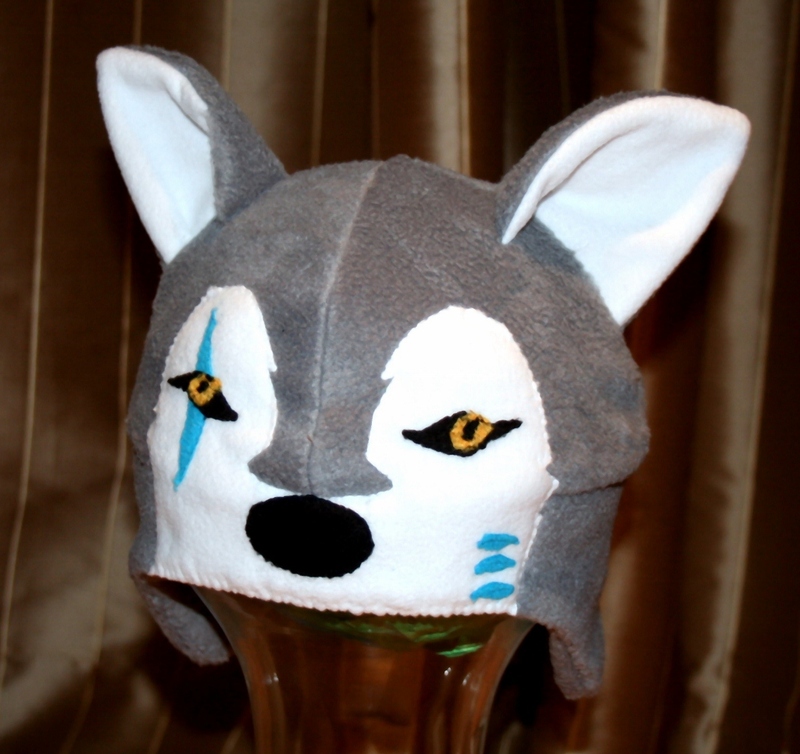 I did not realize how uninspired I was to make a new hat until I started making it. As it came together I remembered how much I love to make fleece hats. As I mentioned in my last post I have tweaked my pattern. I now have the perfect (for me) pattern for size 21" and 22" head circumference. 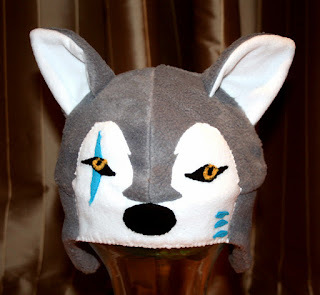 The original pattern that I used was this fleece hat tutorial and if you browse through her gallery you will find the inspiration for this wolf hat. I even got to see my daughters reaction to her hat. I leave for work in the morning before the kids are up, so I normally miss out on things like that. Unfortunately and fortunately, my daughter woke up around 2 in the morning a little out of sorts, I couldn't help myself and showed her her new hat. She lit right up! Prince Charming Quilt!!!! I will have a post about it along with it's story later this week (hopefully). Oh, yes, I did it. I started something new. I am not sure what it will be, but it is started. I have a lot of small scraps from my Nearly Hexagon Charm Quilt. It has been in the back of my mind wondering what to do with them. 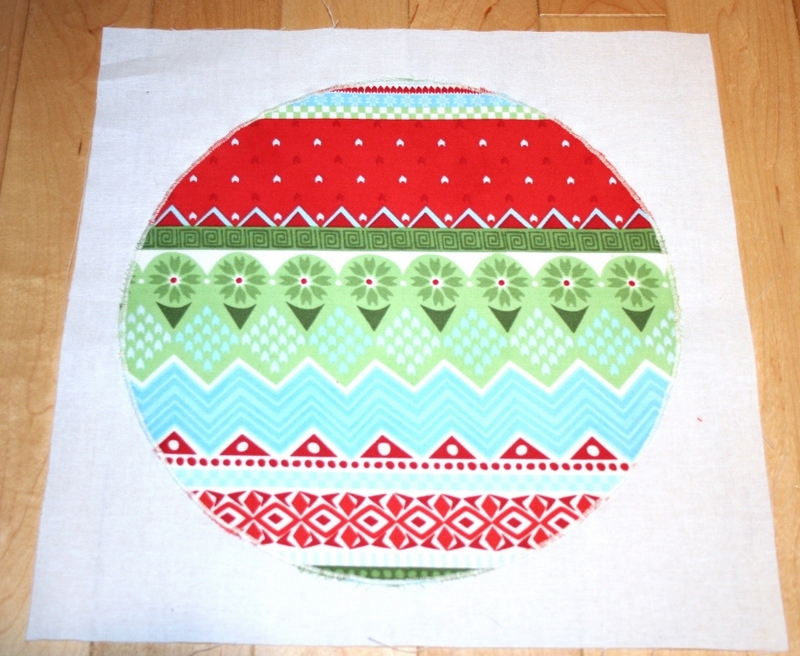 Last night I decided to make a scrappy block. Making a large block was a little harder then I thought it would be. What I ended up with was 4 - 4 1/2" blocks. I plan to make more blocks with other colour ranges. Please, if you have any suggestion on what I should do with these blocks, shoot them my way. 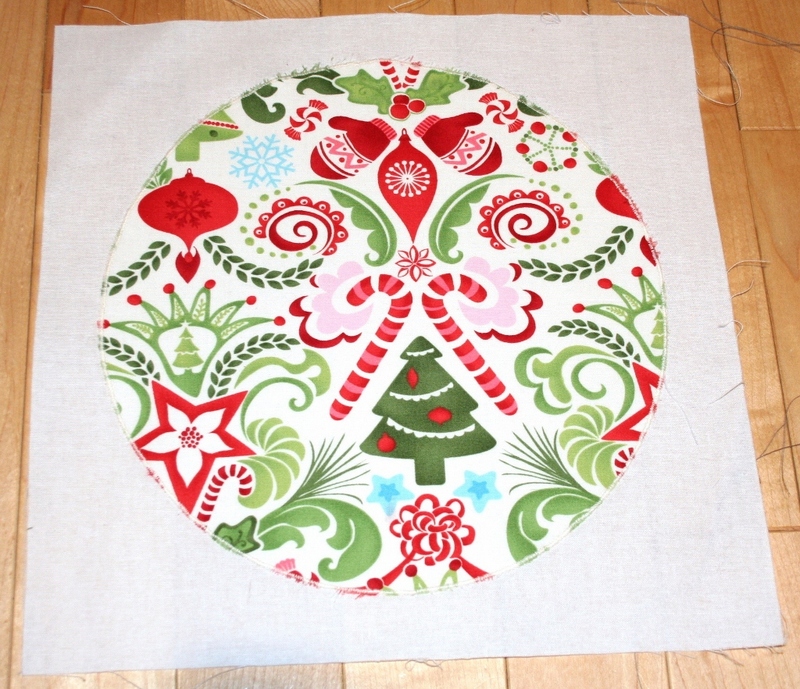 Christmas Ornaments, One nearly done - I am sure this will be ongoing until Christmas. 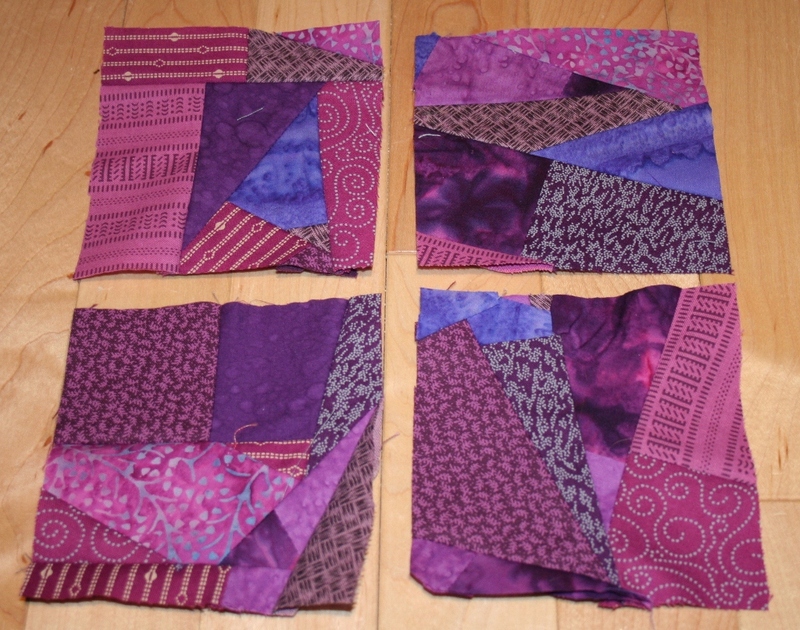 Flurry Wall Quilt, I have one more block made and 8 out of the 12 white blocks cut out. I should have had more, but my scraps that you see above distracted me. 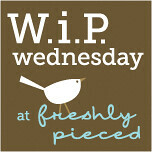 I am linking up with Freshly Pieced. Follow the link to find other great projects and inspirations.